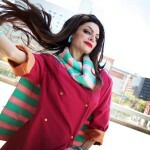 One could get completely lost in cosplaying from the Jojo series! I have to say I enjoy watching Diamond is Unbreakable over reading it; I just love seeing it animated. It’s not my favorite arc, but it definitely has it’s moments. 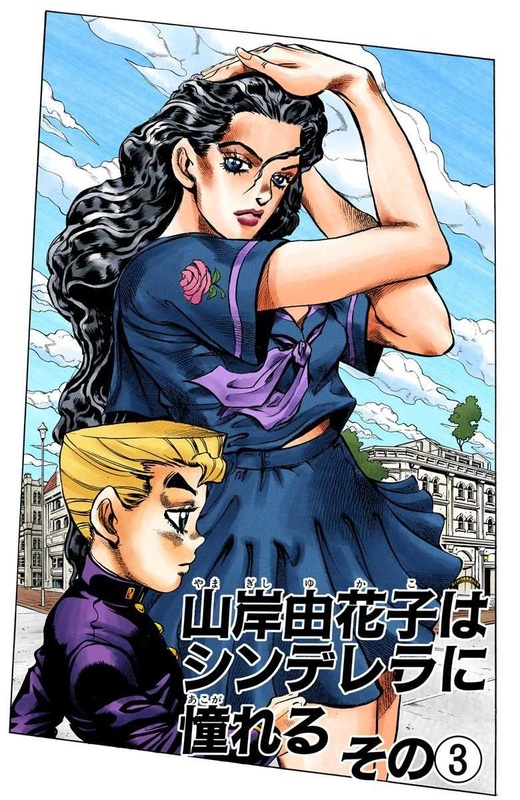 Enter Yukako Yamagishi, a completely crazy person. 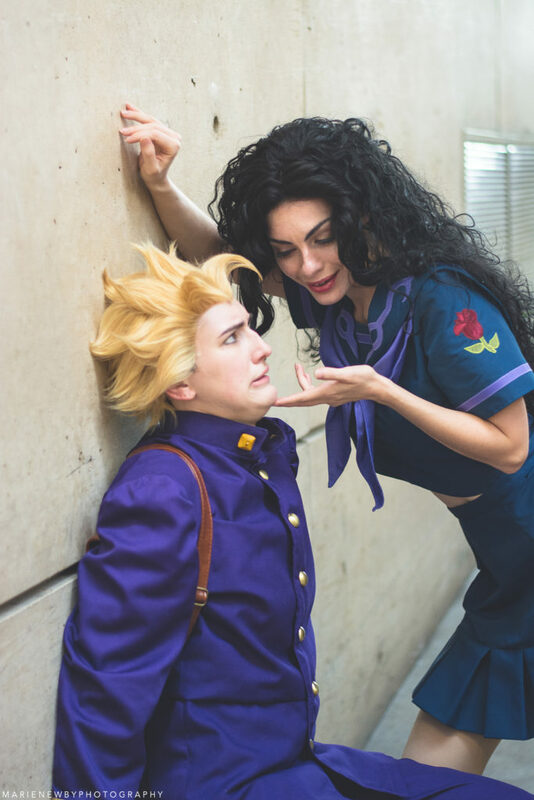 I really feel badly for Koichi, but to each his own. I think the combination of being a creepy stalker psychotic and her hair stand made me want to cosplay her. Just cause crazy people can be more fun to act out, and hair. I’ve been making a crud ton of school uniform cosplay this past year and already had the perfect fabric for her, so figured I’d jump on in. I modified a Joann pattern to fit the basic needs, but found a really useful online tutorial that helped me customize the pattern more. 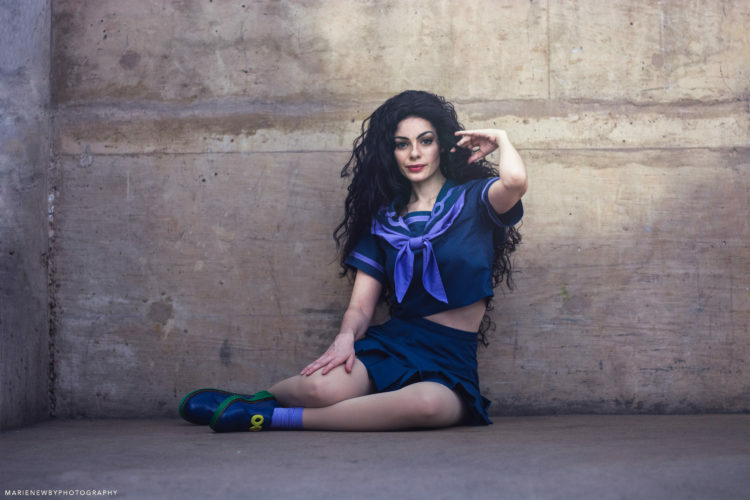 I had started making Yukako in between other projects, but decided to debut her at Otakon. 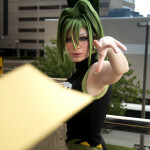 While searching ACP I discovered an AMAZING Koichi cosplayer who was also going to Otakon! We started conversing and planned to do a private shoot together. It was so epic! Kat was such an amazng sport and let me completely creep on her. 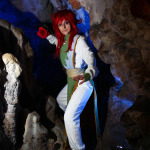 I love down to earth cosplayers.